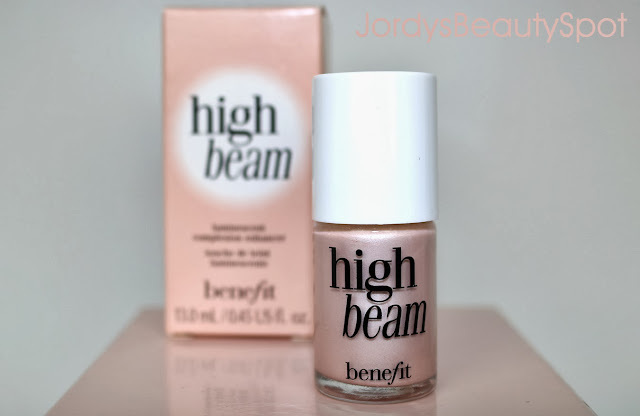 Benefit has an exceptionally large amount of successful products that everyone seems to rave about, High Beam being no exception. I wanted to do this review because I thought it would be help a lot of you decide whether or not it's a product to add to your collection and something you would get use out of. If you love highlighting and have never tried this product...this could be the product that has been missing from your life. 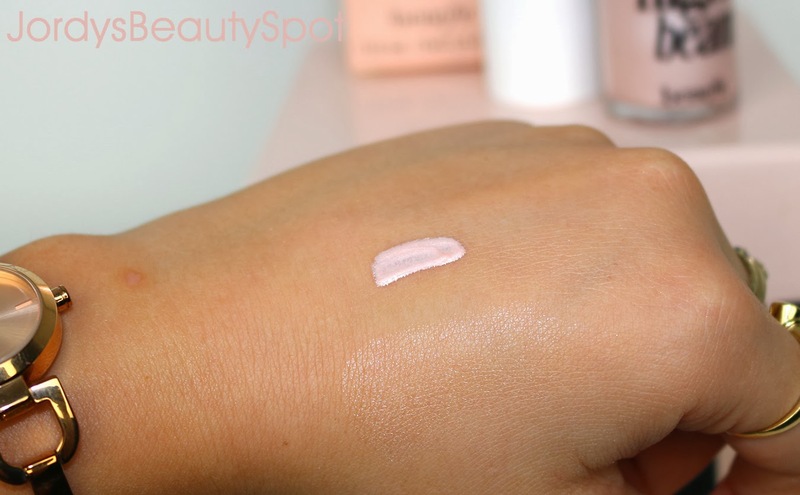 High Beam is a pearlescent milky pink shimmer which gives a healthy glow to the skin. It achieves more of a blushed look in comparison to a sun kissed appearance. This colour looks amazing on any skin tone as I have seen it work great with alabaster skin and dark skin. I really love the gorgeous sparkles throughout it because they are so finely milled that they create a luxurious glimmery look. The formulation is a very slippery and smooth cream based product. It allows for easy application as it blends into the skin very nicely while feeling luxurious and soft. It's like the consistency of a thick liquid foundation but blends out to be a thin layer. High Beam can be used in a variety of ways but mainly for highlighting purposes. It can be mixed into foundations for an overall healthy glow and most commonly applied to the cheekbones, bridge of the nose, cupids bow and anywhere else you want highlighted. Something else I wanted to mention about the usage is that High Beam is packaged like a nail polish so you unscrew the top and there's a little brush similar to that of a nail polish resulting in a more precise application. The above swatches show High Beam as it looks directly applied then underneath that shows how it appears when blended in. I would definitely say that's it is a great pigmentation which is comparable to the Revlon Skinlights. It's not as subtle as a Revlon MFP but it's not as bold as the BOE Beauty Shimmer highlighting powder. If you're an Australian reader then this is quite an expensive product, retailing for a hefty $45. I admit that is a lot for a liquid highlighter considering Revlon and Face Of Australia have similar products but it is definitely worth it. If you're a lucky US reader, this product will only set you back $26. Benefit High Beam is available at all Benefit counters, usually located at Myer or David Jones. Great post as always, Jordy! I adore your vids and always enjoy seeing your posts pop up in my feed. Keep them coming!